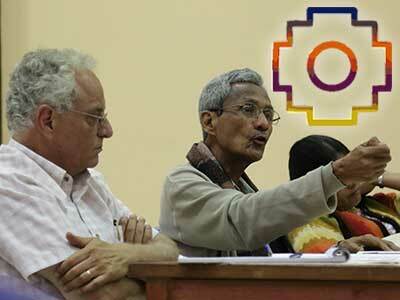 Takiwasi so far has organized several events of international relevance in the city of Tarapoto, bringing together healers and academics, to enable a more relevant and balanced intercultural approach. 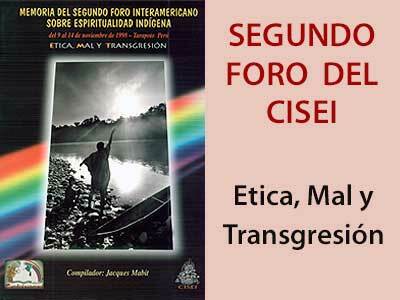 The Peru Chapter of the Inter-American Council on Indigenous Spirituality, led by the Takiwasi Center, organized the VIII International Forum of CISEI, addressing the theme of "Good Living" and its connotations of "Healing, Rituality and Daily Life". A central focus of the debates was considering that indigenous spirituality, which native cultures conceive and live as part of their daily individual and communal life, can contribute, with its millenary wisdom, to a harmonious development of the society. This event was held from November 25 to 28, 2015 in the city of Tarapoto, in the Peruvian High Amazon, with 150 participants from Latin America, North America, Australia, and Africa. The meeting of indigenous leaders on addiction and culture took place in Tarapoto in November 2015 with participants from Latin America, Canada, Australia, Uganda and South Africa. It started from considering that "first nations", when they came into contact with the Western world, were confronted with values, concepts and ways of living aliens to them. A consequence of this "disagreement" is the consumption and abuse of imported drugs, especially alcohol. During the meeting new proposals were raised to face the serious problems of addiction, elaborating a new paradigm that articulates traditional knowledge and values with the healthy contributions of Western culture. 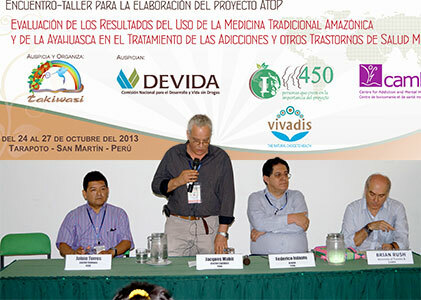 In October 2013 the Takiwasi Center, with the support of the National Commission of Peru for Development and Life without Drugs (DEVIDA) and in collaboration with the Center for Addiction and Mental Health (CAMH) of Toronto, organized in Tarapoto the meeting and workshop for the preparation of the ATOP Project - Ayahuasca Treatment Outcome Project. 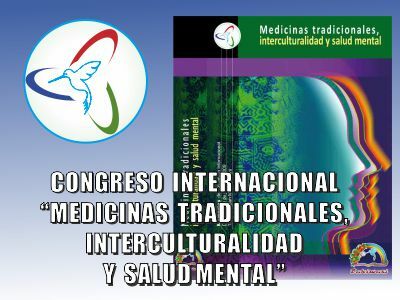 Congress on "Traditional Medicines, Interculturality and Mental Health"
The Congress on "Traditional Medicines, Interculturality and Mental Health" organized by the Takiwasi Center was developed by bringing together 220 participants from 22 different countries with more than 70 conferences, round tables and workshops. This event was held in the city of Tarapoto in June 2009 and gave as a result the publication of a book that gathers the presentations and interventions made during the Congress. 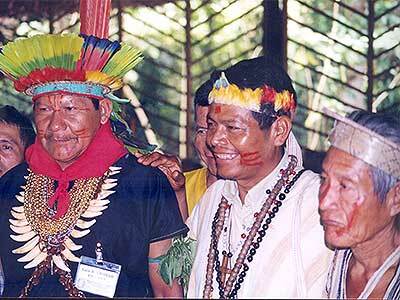 In November 2001, Takiwasi held the meeting of the international network of traditional Ayahuasca healers which gathered about 40 healers from Colombia, Ecuador, and Venezuela. An important objective of this meeting has been the participatory elaboration and the validation by the healers of a Code of Ethics for the practice of Traditional Medicine. This event brought together, for the first time, academics and indigenous representatives from the Americas, both in theoretical debates and in healing and ritual sessions. 58 speakers took part in the debates and therapeutic sessions, round tables and workshops. The event was held in November 1998. 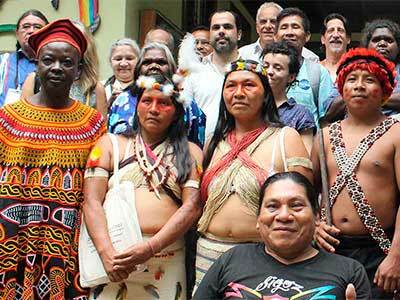 The meeting for the Indigenous-Christian dialogue showed that, although cultural and spiritual mixes have been the source of suffering and misunderstandings, the great fundamental currents of Latin America – represented by the indigenous ancestral sources and the contributions of the western Christian world - by coming together in a judicious and respectful manner, can provide solutions, especially in the face of the destruction of the environment and the generalized violence. This event was held in June 2015 in Huarochiri, Lima, Peru, with the participation of 40 representatives of different ethnic and religious groups of Latin America. It has left encouraging results gathered in the Huarochiri Declaration. Meeting/debate held in Bruxelles (Belgium) on 21-22 May 2016 with the participation of 43 psychotherapists and religious representatives from Belgium, France, Switzerland and Poland. President of the organizing Committee of the 1st Francophone youth meeting on Christian spirituality and Traditional Amazonian Medicine, Allex, France, June 2017. 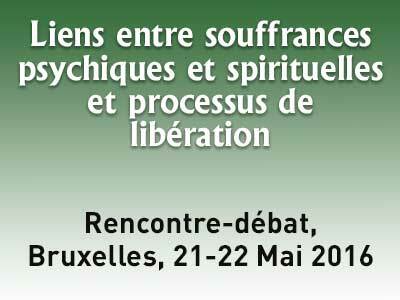 President of the organizing Committee of the 1st and 2nd International meeting on "Psychological and spiritual suffering and liberation processes", Brussels, Belgium, May 2016 and May 2017. Member of the organizing committee of the Congress of Lyon 2010, “Perfurme: from the enchantment to the healing”, Association “La Maison qui Chante”, Lyon, France, May 2010. Proceedings of the congress have been published. Member of the organizing Committee of the Congress "Tobacco, plant of teaching and training", Association "La Maison qui Chante", Lyon, 6-8 October 2006, France. Proceedings of the congress have been published.